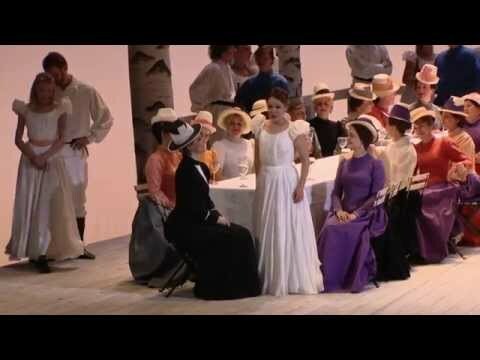 Uliana Alexyuk and Dilara Baştar in their trousers role as Romeo have excellently internalized their roles musically as well as performing with charming Piani. Alexyuk’s soprano is warm … and a noble example of design and phrasing. Baştar’s dark, guttural Mezzosopran complements her with irresistible timbre. Very high, his temperament, Eleazar Rodriguez as Tebaldo rises and shines with effortless heights. Uliana Alexyuk continues to impress. Her Frasquita brought forth the soaring, consistent vocal production and acting skills that were first seen in her star turn as Gilda in this season’s Rigoletto. Likewise, Uliana Alexyuk is appearing in her fifth HGO production this season, and skillfully showcases her ability to hit soprano notes in the stratosphere as Carmen’s friend Frasquita. She is one HGO Studio Artist that will hopefully be gracing Houston stages many more times in the coming years. This entry was posted in Reviews on 19 March, 2014 by Admin. This entry was posted in Reviews and tagged HGO, Rigoletto on 30 January, 2014 by Admin. This entry was posted in Reviews, [:en]News[:RU]Новости[:fr]Nouvelles[:it]Notizario[:de]Neuigkeit[:] on 28 January, 2014 by Admin. This entry was posted in Reviews and tagged HGO, Rigoletto on 27 January, 2014 by Admin. This entry was posted in Reviews on 24 January, 2014 by Admin.